Packing fragile glassware is one of the most complicated processes when moving house. Dishes need to be packed properly to ensure they are delivered to your new home in one piece. Packing boxes for dishes are going to play an important role in keeping dishes protected from damage especially when they bump into each other while in transit. You will need to purchase dish boxes as they are sturdier and can hold the weight compared to used boxes. Prepare the moving box, ensuring that the bottom is secured with a packing tape. You may also need to add a couple of layers of packing tape for additional protection. Never skimp on the dish pack boxes for moving if you do not want to end up with broken dishes. Dish packs have a double layer of corrugated cardboard. The extra layer provides a better level of protection. These specialised boxes are offered by moving companies. You cannot get them from a local grocery store. Some may use bubble wrap to ensure that dishes are placed in a box securely. Others use padding or cushioning material. Should you use cheaper alternatives to packing materials for dishes? It is recommended that you use heavy-duty boxes for packing dishes as they are more resistant to pressure. A standard box is only intended for non-delicate items. 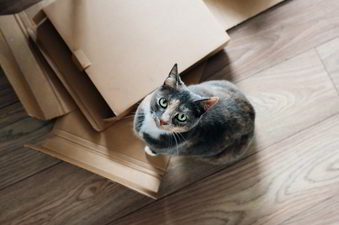 If you think using recycled boxes will save you money, discovering that your dishes have been broken into pieces will make you realise that used boxes did more harm than good. Some who are looking for low budget options will go for old nylons, towels, plastic grocery bags and other less expensive packing materials. However, protection is not guaranteed considering the fact that these materials are not made for delicate items. You also do not want to pack too many dishes in one box. This is why you need to buy plenty of packing boxes for dishes. You might drop the box if you overfill them. Label boxes with fragile items so movers will handle them with extra care. There is no way you can save money if you consider using old boxes. To save yourself from any unnecessary expense, buy your packing boxes for dishes from Moves Boxes. Our dish packs for moving are strong enough to hold the weight of your precious glassware. Visit movesboxes.com.au to check out our moving and packing items.